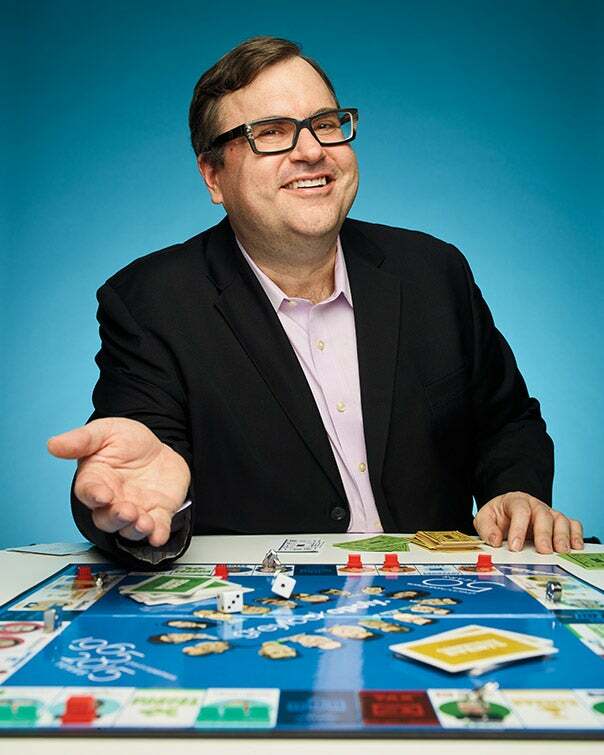 Editor’s Note: In the new podcast Masters of Scale, LinkedIn co-founder and Greylock partner Reid Hoffman explores his philosophy on how to scale a business — and starting May 3, at Entrepreneur.com, entrepreneurs are responding with their own ideas and experiences. This story is an in-depth look at Hoffman and his philosophy. This article is included in Entrepreneur Voices on Growth Hacking, a new book containing insights from more than 20 contributors, entrepreneurs, and thought leaders. Dan Lewis has been wrestling with one of the most common, and critical, bottlenecks that bedevil every tech startup seeking to scale fast: How can his company staff up quickly enough to cope with expected growth without blowing through cash unsustainably? Lewis is the CEO and co-founder of Convoy, an on-demand trucking startup headquartered in Seattle, so the first idea he had felt obvious. He should open up a second office in a city that’s way cheaper than Seattle. But he just wasn’t sure. Which is why, on a Friday evening in early March, he’d trekked down to Silicon Valley to meet a man known to have answers to quandaries like this: Reid Hoffman. Lewis dives into the details of his problem, and Hoffman settles into a posture that looks well-used. He steeples his hands in front of his chin, fingertips almost touching his lips, elbows splayed sharply to the left and right. His eyes might be half-closed, but his body language is benevolent; he could not possibly be more attentive. And when Lewis is done, Hoffman has plenty to say. If Convoy does pursue a second office, they’d better make sure direct flights are available from the new city back to Seattle. Requiring execs to regularly make multiple-stop cross-country journeys plays hell with company culture. It’s a minor point, but one you might never think of unless you’d been there yourself. But splitting up corporate teams may be premature, Hoffman adds. It runs the risk of disrupting “the learning loop” -- that all-important, constantly iterating process in which a startup figures out how best to do whatever it’s doing by observing itself in action and making the necessary course adjustments. Lewis nods. You can see him writing those words down in his mind: the learning loop. This, after all, is the effect Hoffman has on people. It’s why the 49-year-old billionaire co-founder of LinkedIn, veteran of PayPal and venture capitalist is widely considered something of a seer in Silicon Valley, who can distill complex ideas down to important truisms. It’s why he’s now expanding into media with a podcast called Masters of Scale; each episode explores his often counterintuitive theories on how businesses can grow, such as “the only way to scale is to do things that don’t scale,” and includes conversations with friends such as Sheryl Sandberg and Bill Gates. (It runs for 10 weeks, starting May 3.) For founders wrestling with big, sticky questions about their companies’ promise and direction, a few words from Hoffman can go a long way. A conversation can go even further. But for Hoffman, getting into weeds and foxholes isn’t just about helping the individuals he’s invested in. It’s about something greater -- something that, he hopes, will push all entrepreneurs to grow their companies strongly and smartly. It’s about nurturing an adaptable mindset suitable for navigating a confusing, chaotic world. All in the hope of making that world better for everyone. 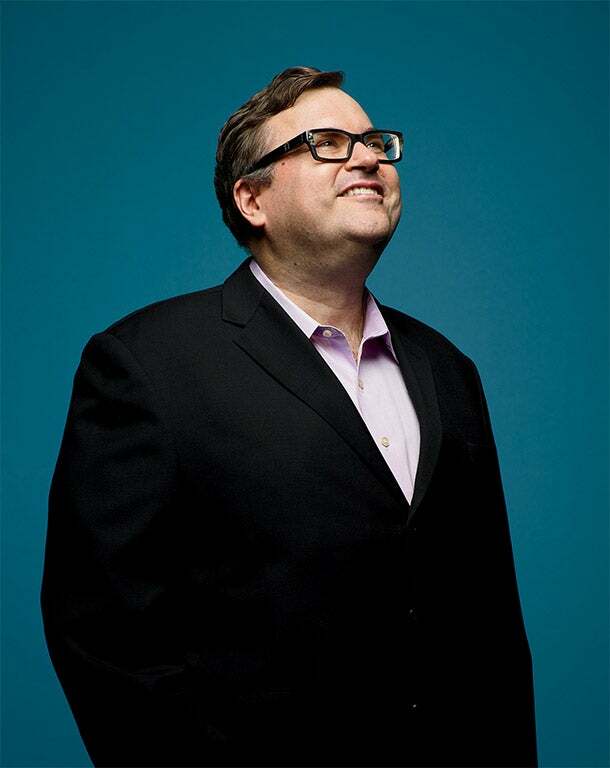 Born in Palo Alto, raised in Berkeley, educated at Stanford and Oxford, Reid Hoffman is a very smart guy. He originally wanted to be a philosopher, but he also wanted to have a concrete impact on the world, and eventually he concluded that abstract reasoning in academia wasn’t going to give him the scale to get him or the world to where it needed to be. In the mid-’90s in Silicon Valley, the lure of the digital revolution was irresistible. He got the lay of the land from gigs at Apple and Fujitsu and, in 1997, started his first company, a primitive social networking operation called SocialNet. SocialNet failed, but Hoffman recalls the experience as invaluable. After SocialNet, Hoffman joined his college friend Peter Thiel on the board at PayPal, where he soon became the COO and then executive vice president. eBay’s subsequent purchase of PayPal in 2002 for $1.5 billion made Hoffman a multimillionaire. He began investing in startups and co-founded LinkedIn in 2003. He joined Greylock in 2009. In 2016, Microsoft purchased LinkedIn for a whopping $26 billion. (Hoffman joined Microsoft’s board of directors in March.) Among the startups he has helped mentor: Airbnb. Mozilla. Zynga. Groupon. Greylock declined to provide details on Hoffman’s current net worth, but after the sale of LinkedIn concluded, Forbes calculated it at $3.7 billion. So how do you scale a company? Hoffman not only invested but also joined the board -- and has stayed there ever since. Kiva’s innovative technology platform helps would-be entrepreneurs across the world get funding. That meshes perfectly with Hoffman’s desire to encourage entrepreneurial productivity -- and he believes big platforms can connect people in important ways. There’s a joke in here: Only in Silicon Valley, land of hyperinflated values for companies that make zero profit, would a hugely successful businessman and venture capitalist point out that the act of charging customers could be construed as a bad business model. But there was method to this particular bit of madness. No one has to pay to use LinkedIn or Facebook or Gmail, which is why the masses will give them a shot. When a curious person arrived at Kiva, though, the only thing to do was give money -- and even if you were reasonably confident that your $25 loan to a motorcycle repairwoman in Uganda would eventually be paid back, you still had to get past that initial credit card plunge. There was friction in the system. Hoffman came up with a new strategy, a “freemium” model in which Kiva would just plop down a pile of cash and let its users decide where to loan it. And he put his own money down: $1 million to test the theory that Kiva could bootstrap its growth by jump-starting loaning activity. What happened is that 50,000 people joined Kiva in one month (a huge jump over the normal 10,000) and then those new members ended up loaning out an additional three million of their own dollars. Hoffman made back most of his donation, while setting an example that was quickly followed by Google and Hewlett-Packard, who established similar philanthropic programs for all their employees. The Kiva example nicely illustrates some themes that Hoffman has stressed. Take chances, learn from your experiences, be ready to pivot. But it also sheds light on why Hoffman is currently so focused on the question of scale. It’s not enough to just have a good idea and get a little traction. Real change requires a more ambitious canvas. So what’s the second step toward getting to scale? The intro theme to the Masters of Scale podcast plunges the listener into an anarchic audio landscape. Short clips from scores of interviews conducted by Hoffman come flying at your ears from all directions, while vaguely martial music builds to a crescendo in the background. The effect is slightly ominous. The message comes through loud and clear: Building a new company is an exercise in surfing chaos. In one early episode, Hoffman interviews Mariam Naficy, another entrepreneur who, like Hoffman, has started two successful companies, the cosmetics supply website Eve.com and Minted, an online design marketplace. Minted’s initial plan was to market name-brand stationery, but when customer demand for independently designed works and art spiked instead, the company was forced to completely change its model. As the two discuss that moment in the show, Hoffman observes that, as a general rule, “your customers are always a bottomless well of surprises.” And unless you can quickly figure out what those surprises mean, you are doomed. After I listen to the episode, I ask Hoffman how entrepreneurs can possibly keep up. He says they should focus on three main things: their ability to scale customer acquisition, ability to grow their company’s size and “delivery of the value proposition to the customer.” If there is no one around to answer the phones when demand for your services takes off, you can crash even more quickly than you rise. But beneath all the operational aspects involved in scaling a company lies something more fundamental. Hoffman believes a successful entrepreneur must be flexible, ready to adapt and willing to accept that although the future is essentially unknowable, there is always something new to find out. The simplest way to define “learning loop” is as a process in which your goals are constantly modified by experience. One of the worst mistakes a startup entrepreneur can make is to stick blindly to plan A when market realities are telling you it is way past time to go to plan B. Hoffman has done a lot of thinking about pragmatic ways to enhance learning loop efficiency. It’s all about “OODA,” he explains. The critical point Hoffman is always trying to get across -- in his books, his podcasts, his interviews with journalists and his mentoring sessions with company founders -- is that no one really knows what is going to happen next. Rare indeed is the business plan that survives contact with reality intact. Examples from his own career come readily to mind. PayPal, says Hoffman, spent two years perfecting a technology that allowed PalmPilot users to make mobile payments. As a sideline, it also worked out a simple system for making payments via email; at the time, the company thought of that as a patch for when a PalmPilot user and a non-PalmPilot user wanted to split the bill for a meal. The service launched, and after a week, says Hoffman, executives discovered that almost no one was making mobile transactions with their PalmPilot. But there was a hubbub of activity on eBay of people using the email payment feature to pay for their bids. As Hoffman remembers, there was some preliminary discussion of whether or not the company should quash the eBay activity; some saw it as an unlooked-for distraction from their primary business plan. Today, when company founders are seeking Greylock’s funding, Hoffman and his partners will look for signs of learning loop capacity. They want to see whether the founder can adjust and adapt on the fly when presented with new information or advice. Greylock is fine with funding a company that might not have the clearest idea of how it will make money. But funding an entrepreneur who is too rigid -- who can’t go with the flow of whatever the market dictates -- is an absolute nonstarter. The conditions in which entrepreneurs start and grow companies are the conditions we all now live in when fashioning a career. You never know what’s going to happen next. Information is limited. Resources are tight. Competition is fierce. The world is changing. And the amount of time you spend at any one job is shrinking. This means you need to be adapting all the time. And if you fail to adapt, no one -- not your employer, not the government -- is going to catch you when you fall. Everyone, in other words, needs to be their own fighter pilot. But what if you’re not an adrenaline junkie? As a lover of philosophy, Hoffman may appreciate that he’s creating something of a paradox. In interviews and across his books, he repeatedly points out that the qualities of successful startup founders are also the qualities that can help anyone inside any career. We live in an era of destabilization, he argues. Nothing anywhere is predictable, which means we’re all better off living in permanent beta. And yet: Isn’t it fair to say that the disruption caused by Silicon Valley startups -- and to some degree, by Hoffman himself -- is itself a source of at least some of the destabilization? What are people who aren’t adrenaline junkies and don’t feel comfortable jumping off cliffs supposed to do when their jobs disappear because a new app has upended yet another industry? But is Silicon Valley culpable for all the negative things in the world? Hoffman isn’t sold on that. While our ever-changing economy may be difficult today, it’s not at all clear that it’s a permanent condition. And while he acknowledges that the negative job impact of developments like self-driving cars and trucks “will be one of the very big bumps along the way,” he doesn’t believe that artificially intelligent robots will take all our jobs. New conditions create new opportunities -- the openings that entrepreneurs will use to build companies that scale, become important and help everyone around them. Education is a good example, he says. What if, he suggests, instead of packing dozens of students into classrooms or hundreds into lecture halls, we could move to a system where there was a teacher for every three students? That becomes a sector with more jobs, not fewer. 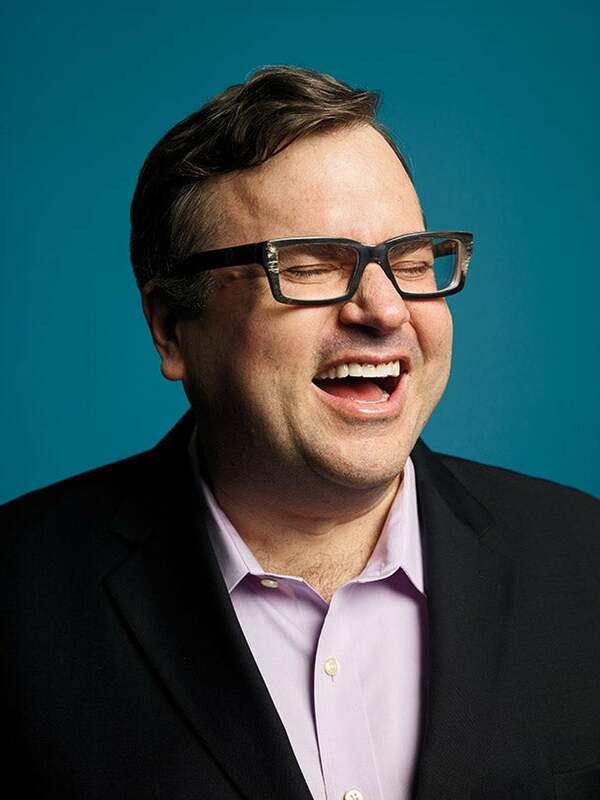 Making sure that the long-term story has as happy an ending as possible is Reid Hoffman’s goal, a point underlined by his activism, his philanthropy and his decision to spend as much time as he can sharing his ideas and experience to help companies grow while the ground shifts beneath their feet. And that’s what Hoffman, the philosopher king of entrepreneurs, has dedicated himself to doing. Here’s the upgrade path, he says. Here’s how you tweak your learning loop. Expect chaos, he says, and then go from there.